The Rotary Club of Port Isabel surprised one South Padre Island first responder during a meeting of the City Council Wednesday. Capt. 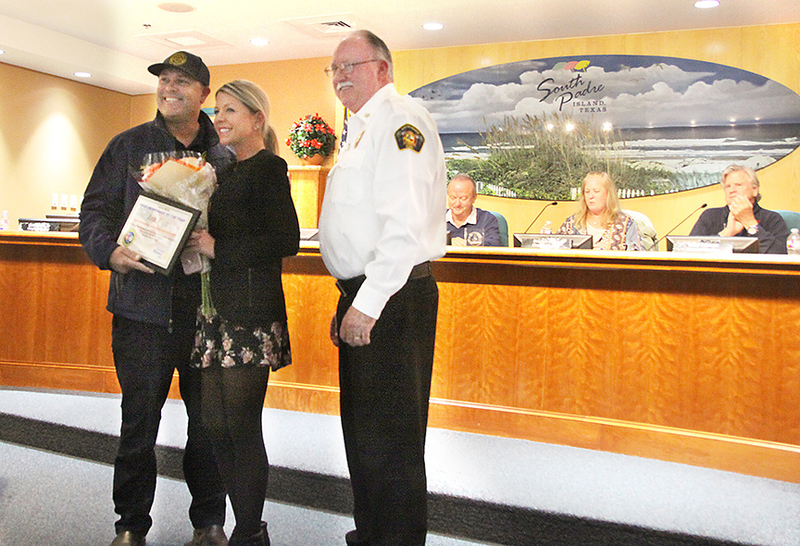 Jim Pigg, of the South Padre Island Fire Department, was recognized by the club for his service to the community and his work with the City’s beach rescue team. “We’ve established an annual award to give to a first responder that has sort of stood above and excelled over the past year,” said Rotarian Lonnie Gillihan. Pigg established the City’s first ocean rescue team. “Prior to that, there was no lifeguard program to protect the South Padre Island beaches,” Gillihan said.